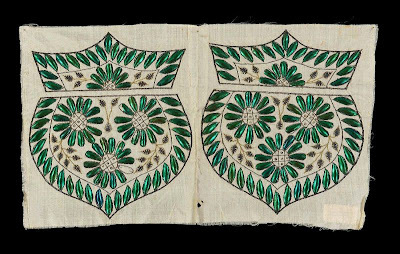 Above, you can see a textile (part of a cloth bag) from India that was made for Colonial Americans in the early 1800s. 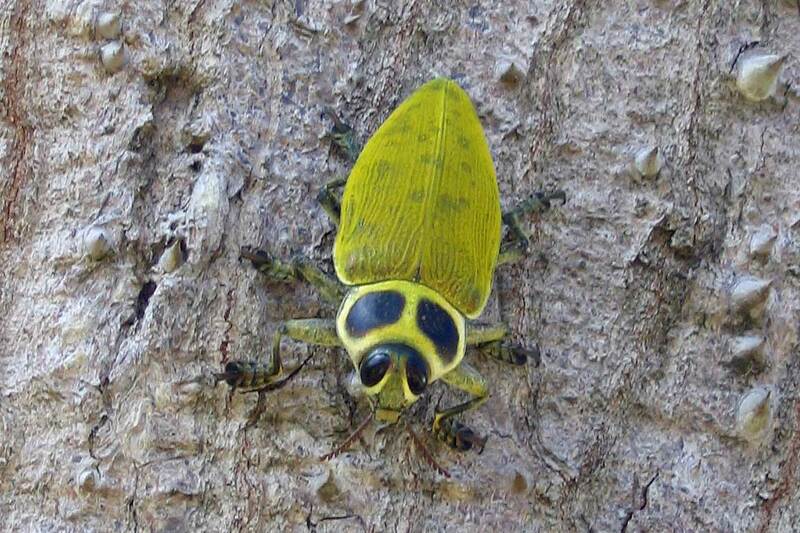 It's made from silk, gold, and beetle wings! Notice how well those beetle wings have held up over the past 200+ years! 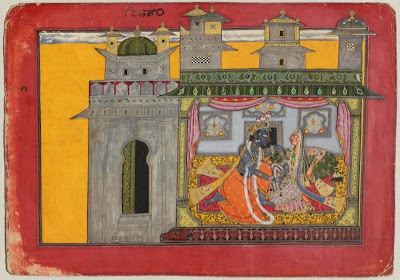 Below is a watercolor painting from India dating to the mid 1600s. The painting is interestingly titled "Krishna Loosens His Beloved's Belt" or "The Deceitful Hero". What I find most interesting about this painting (just one in a series) is that real beetle wings are used as "jewels" to accent the piece. All of the little green shiny things you see here are beetle wings: look for them in Krishna's headdress and on the "awning" of the room the couple is in, among other places. 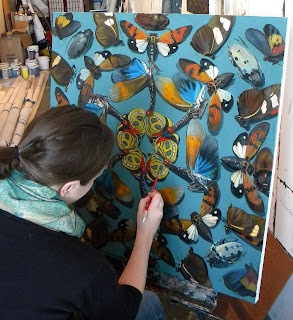 I am personally amazed that these beetle wings are still around after 400+ years! I hear real beetle wings have even been found in Egyptian tombs, as part of necklaces. I am searching to see if I can find a photo of that for everyone to see. 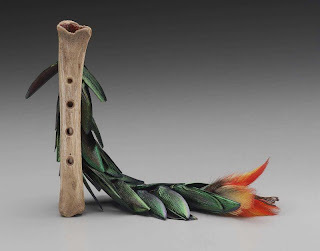 Below, we see a flute made by the La Compa Indians in Peru. 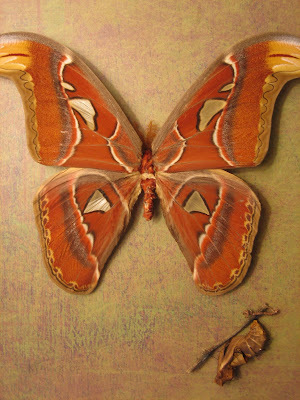 It dates to "before 1920" and is made out of a bone, beetle wings, and feathers. I apologize for the annoying underlined text in this entry! I am still learning how to use my new Mac!! 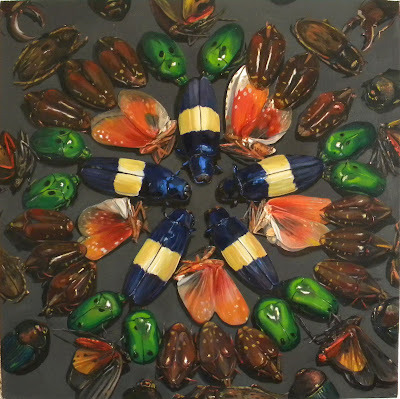 Look for more antique and ancient Insect Art in future posts!